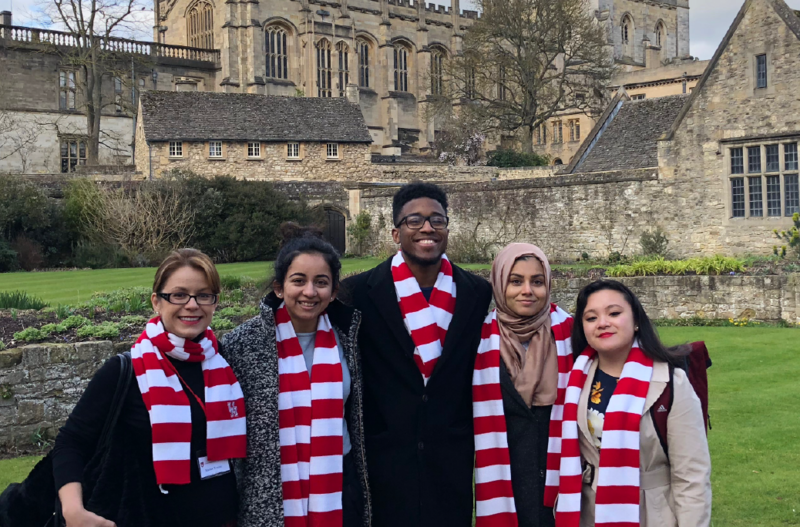 Through a continuing partnership between the Hobby School of Public Affairs and the Honors College, four UH students attended the annual Oxford Consortium for Human Rights, held at Oxford University in March 2018. The intensive, week-long event included lectures and discussions on the theme Human Rights in and after Conflict from a variety of scholarly and applied perspectives. and Human Rights Fellows Hina Uddin, Malik Chambers, Mehreen Arshad, and Danielle Niangar. This year’s UH Human Rights Fellows, Mehreen Arshad, Malik Chambers, Danielle Niangar, and Hina Uddin, were among the 40 graduates and undergraduates from around the world who spent the week learning about humanitarian action, human rights law, conflict trends, armed conflicts, and peacemaking.